Stylish and cozy wooden lodge, with mountain nature at hand and home-like atmosphere. A unique hostel in a unique place! 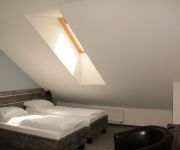 Good Bye Lenin Hostel, a century-old wooden house (recently renovated with modern facilities), located at the foot of the Tatra National Park and surrounded by a pine forest, aims to provide a complete experience of Zakopane and the Tatra mountain range for outdoor enthusiasts on a budget. As we are situated on the way to the Morskie Oko Lake (a must-see of Tatra Mountains), a trip there can't be easier from anywhere else. Wide range of other hikes (from leisure walks to climbing daring 2500m high rocky peaks) can also be done from here - quality hiking maps rental and extensive guidance from passionate staff available anytime. 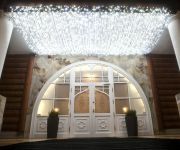 Расположенный в Аэропорт Фьюмичино, Hotel Chopin является идеальной отправной точкой для изучения Рим. Предлагая разнообразные услуги для отдыха и развлечения, отель, также, предлагает все необходимое для комфортабельного сна ночью. Бесплатный Wi-Fi во всех номерах, круглосуточная стойка регистрации, срочный въезд/выезд, камера хранения багажа, парковка включены в список удобств, доступными для гостей. Беспроводный интернет, номера для некурящих, кондиционер, отопление, услуга будильник можно найти в выбранных номерах. Насладитесь удобствами, которые предлагает отель для своих гостей, в том числе такими, как детская площадка, сад. Уютная атмосфера и отличный сервис это то, что вы можете ожидать во время пребывания в Hotel Chopin. We would like to cheerfully welcome you to the Stary Mlyn. The hotel has lots of parking spots available. Free for you On arrival at the hotel you will receive a free bottle of water. Parking is located directly at the hotel for free. Access to the WiFi connection is available from the public areas in the hotel. Make yourself at home Our competent reception offers assistance and advice at all times. When entering the hotel you will be greeted in the lobby. Culinary greetings from the kitchen The hotel's restaurant is ready to satisfy your hunger. The menu includes vegetarian dishes as well as wholesome multi-grain meals. Where you will stay Having a desk in your room is standard at our hotel. Cable TV is standard in our hotel's well-appointed rooms. Hotel guests can enjoy the comfort of windows in the bathroom. While taking a steamy shower let your towel get nice and hot on the heated towel bars before slipping it on. Then easily dry your hair with your hotel suite's hair-dryer. Business hours of reception: Every day:	from 00:00 to 00:00 . In the name of our entire crew, we welcome you warmly to the Yuca Hotel. It doesn't matter whether you're staying for one night or more, you will find ample parking spaces available at our comfortable hotel. Free for you Hotel guests receive a free bottle of water. Your free daily newspaper can be delivered to your appealingly arranged room on request. If you are arriving by car, we have free parking directly at the hotel. Complimentary late check-out is available at our hotel. Our hotel's wireless internet can be used in the spacious public areas. Make yourself at home Valuable items may be left at reception for storage in the hotel safe. Within the hotel a lobby is included. Stop in for a meal in the acclaimed dining room. Where you will stay Desks are a standard service in each of the hotel rooms. 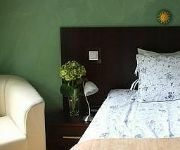 Conveniences, such as cable TV with plenty of entertaining programmes, are part of all our rooms. All our guests enjoy having rooms equipped with an easy-to-use phone. Our hotel rooms are all equipped with refrigerators. Rooms come with coffee making utensils. You will find located in your room a shower, a bathtub and a hairdryer. Relax or be active We encourage our visitors to use the sauna and solarium that we supply. We have a modern fitness room for the guests of this hotel. Business hours of reception: Every day:	from 00:00 to 00:00 . 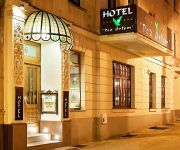 Located in the very centre of Kraków just about 800 metres from the beautiful Main Market Square, Princess offers accommodation with free Wi-Fi. Kraków Główny Train Station is just 170 metres away. The apartments are bright and done in pastel colours. Each comes with a TV, a DVD player, a table with chairs and a private bathroom with a shower or a bath. Princess provides free tea and coffee, as well as free maps and brochures. Bicycles can be rented out on site. Each apartment comes with a well-equipped kitchen or a kitchenette. The Wawel Royal Castle is 1.6 km and the trendy Jewish Kazimierz district with numerous bars and clubs is about 1.5 km from Princess. On warm days the Guest can relax in our garden and on sunny days we have avaible an umbrella with chairs. Business hours of reception: Every day:	from 00:00 to 00:00 . Our whole staff would like to happily welcome you to the LuxApart Zakopane. You can leave your car in one of the many parking spaces during your trip. Access to the WiFi connection is available from the public areas in the hotel. Where you will stay Enjoy in-room entertainment provided by a television with cable channels. We provide a kitchenette, a fridge, a microwave and a coffee maker in each of our hotel rooms. Not only will you find a shower in your bathroom but also a hand-held hair-dryer. In the name of our whole staff, we welcome you warmly to the Imperial Residence. Visitors are welcome to hire a car directly from our reception and can use hotel parking during their stay. For the convenience of our hotel quests, car parking space is available at the hotel on request. Free for you A free bottle of water awaits you on arrival. Enjoy our free daily newspaper. If you are arriving by car, we have free parking directly at the hotel. Make yourself at home Our friendly staff at reception will be there for you around the clock. The lobby has video surveillance. Children are very welcome in our hotel, which has its own play area and also offers non-smoking rooms. You will not have to go hungry - or thirsty - with our gourmet dining room and the leisurely hotel bar providing for your every need. Where you will stay Satellite TVs are provided in each of the hotel rooms. Our guests like the fact that international newspaper await them in their room. Business hours of reception: Every day:	from 00:00 to 00:00 . In the name of our entire staff, we welcome you warmly to the Pod Dębami. If you are travelling by car or bike, we have secure parking for bikes and ample car parking spaces available. Free for you On arrival at the hotel you will receive a free bottle of water. When booking with us, you will enjoy complimentary parking at the hotel. Our hotel's wireless internet can be used in the spacious public areas. Make yourself at home Our friendly staff will greet you in the lobby. A garden terrace is also provided. Treat yourself to a delicious meal in the dining room. Where you will stay Each and every room is equipped with a desk so you can easily transform it into an office space. Don't forget to ask about your own cable TV with plenty of entertaining programmes featured in each and every room. Each hotel room features a telephone. All the hotel rooms are equipped with a shower. The windows in each of the hotel's rooms are sound proof. 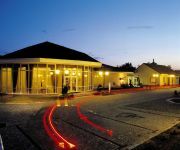 Business hours of reception: On business days:	from 08:00 to 23:00 . We would like to cordially welcome you to the Dwor Olimp. Parking is located directly at the hotel for free. Make yourself at home Ask the hotel's helpful receptionists for assistance at all times. Children are very welcome in this hotel, which has its own play area and also offers non-smoking rooms. Culinary greetings from the kitchen The restaurant at our hotel features both vegetarian and wholesome whole grain meals. Where you will stay All of the rooms include an air conditioner. Desks are provided in all of the hotel rooms. Hotel-courtesies, for example a cable television set, can be found in all of our rooms. The TV set in your room has internet connection. Our hotel offers a shower in all hotel rooms. Business hours of reception: Every day:	from 00:00 to 00:00 . In the name of our entire staff, we welcome you warmly to the Gizycko. Our homey hotel is easy to reach on foot from the station, just0,9 km. You can leave your car in one of the many parking spots while you are with us. Guest will receive a complimentary bottle of water upon check-in. Access to the WiFi connection is available from the public areas in the hotel. Make yourself at home Our knowledgeable reception staff will be pleased to place your valuables in our hotel safety deposit box. The elevator to the upper floors makes it easy to reach your homy room. Our impressive lobby will start your trip off right. Where you will stay One of the hotel services is cable TV with plenty of entertaining programmes included in all of our rooms. Satellite TVs are provided in each of the hotel rooms. In all of the hotel rooms a convenient phone is included. Next to the shower in your bathroom there is a hand-held hair-dryer. Business hours of reception: Every day:	from 00:00 to 00:00 . We would like to gladly welcome you to the Duval Serviced Apartments. Apartment Hotels are easy to find, but they are not all created equal. Make the right choice and book a room at this handsome hotel to enjoy all of its features and benefits! Access to the WiFi connection is available from the public areas in the hotel. Where you will stay Having a desk in your suite is standard in the hotel. The television sets in our hotel feature satellite channels. During your stay make use of the coffee maker, fridge and kitchenette provided in our hotel rooms. In case it happens to rain, don't let it ruin your day. Simply use the DVD-player in your suite and enjoy an entertaining day in with your family and friends. The hotel room's restroom has a shower and a hair-dryer for drying your hair afterwards. We would like to gladly welcome you to the Gold. You can leave your car in one of the many parking spots during your trip. Car parking facilities are located at the hotel for your use. Please specify when making a booking. Guest will receive a complimentary bottle of water upon check-in. Wireless connection to the internet is available in the hotel's public rooms. Make yourself at home The hotel safe ensures security for your valuables. Business hours of reception: Every day:	from 00:00 to 00:00 . We would like to proudly welcome you to the Pod Orlem. You can easily walk the short distance from the homey hotel to the local train station. We have many parking spaces available where you can leave you car during your trip. We provide guests with a complimentary bottle of water. Our hotel's wireless internet can be used in the spacious public areas. Make yourself at home The experienced reception offers assistance and advice around the clock. When entering the hotel you will be greeted in the lobby. Where you will stay Your room's desk is ideal if you brought your work back to the hotel. Our rooms are equipped with satellite TV. Bathrooms feature a shower, a bathtub and a hairdryer. Business hours of reception: Every day:	from 00:00 to 00:00 . Our whole crew would like to warmly welcome you to the Preemier. We have many parking spaces available where you can leave you car while you are with us. For the convenience of our hotel quests, car parking space is available at the hotel on request. When booking with us, you will enjoy complimentary parking at the hotel. Make yourself at home Ask our knowledgeable receptionists for assistance 24/7. Our lobby is kept under video surveillance. Take advantage of the garden terrace. Children are very welcome in our hotel, which has its own play area and also offers non-smoking rooms. Culinary greetings from the kitchen Enjoy a delicious vegetarian meal, served in our full-service dining room. Where you will stay All of the hotel rooms have satellite TV. All of the rooms in our hotel are equipped with a properly functioning telephone. Business hours of reception: Every day:	from 00:00 to 00:00 . We would like to cheerfully welcome you to the Apartment4you Kolejowa Select. Apartment Hotels are easy to find, but they are not all created equal. 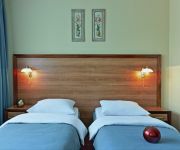 Make the right choice and book a room at this attractive hotel to enjoy all of its features and benefits! You can leave your car in one of the many parking spaces during your trip. For the convenience of our hotel quests, car parking space is available at the hotel on request. Parking is located directly at the hotel for free. Make yourself at home Use the lift to access the upper floors of the comfy hotel. Where you will stay While staying with us, our guests are supplied with cable TV with plenty of entertaining programmes that is present in all rooms. Satellite TV is a standard facility available in each and every room. The guest rooms feature a kitchenette, a fridge and a coffee maker. Business hours of reception: On business days:	from 08:00 to 22:00 On the weekend:	from 09:00 to 21:00 and from 10:00 to 20:00 . In the name of our entire crew, we welcome you cheerfully to the Parasol. Parking is not a problem at our hotel, we have ample parking available for our visitors. We provide car parking space at the hotel for your convenience while you stay with us. Free for you Hotel guests receive a free bottle of water. Guests can use the beach chairs for free. During your stay, you can park for free at the hotel. Complimentary late check-out is available at our hotel. Complimentary hotel room upgrade is available when booking with us. Wireless connection to the internet is available in the hotel's public rooms. Make yourself at home The reception desk, which is manned 24/7, also has a strong box. Our quaint features a lift for guests. The lobby is under constant video surveillance. Take advantage of the garden terrace. Where you will stay We supply an air-conditioning-system found in all rooms. Enjoy in-room entertainment provided by a TV set with cable channels. For your convenience, a trouser press can be found in each of our hotel rooms. Relax or be active We want you to have the best time possible in our hotel, so grab your family to enjoy a nice game of volley ball. In case you happen to have some free time, try out some of the leisure activities. Our hotel features all the necessary equipment for lots of different types of sports. Enjoy yourself at your leisure with these activities: Boat trips, sailing, fishing, diving, windsurfing and water skiing. During your visit in the hotel partake in some of our leisure activities, for example horseback-riding. You can also use the walking paths provided at the hotel. They're a true crowd-pleaser among our guests. Enjoy the breathtaking bird's eye view while paragliding or hang gliding. Business hours of reception: Every day:	from 00:00 to 00:00 . 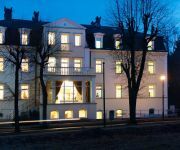 Hotel Caspar is situated in the middle of the health resort along the pedestrian precinct, in direct proximity to the health house. The interior design of the health house is the creation of the hotel’s owners who are interior designers and at the same time. We provide a total of 30 rooms and all of them are equipped with a bathroom with shower and hair dryer, satellite TV, telephone, internet access and a desk. Non-smoking rooms are also available. In our restaurant, the fire place room and the health garden with almost 100 seats, we serve regional cuisine, light wellness cuisine and home-made cakes, which you can enjoy with a glass of wine. Our kitchen team places great importance to dishes based on vital cuisine. We prepare conferences according to your wishes in different room styles. The conference rooms offer daylight and modern technical equipment. Here, jazz and wine help to let leave an unforgettable impression after a health trip to Cieplice. Within 60 m from the hotel, there is a very well known treatment resort. Business hours of reception: Every day:	from 00:00 to 00:00 . Our entire team would like to enthusiastically welcome you to the Moon Hostel. Our cushy hotel is conveniently situated a short distance from the station. The hotel has ample parking spaces available. Free Wi-Fi in public areas and complimentary access to a computer terminal (with internet) await you at our hotel. Make yourself at home Guests can rely on the experienced receptionists around the clock. To reach your homy room on one of the upper floors we recommend you to use the lift. In all the hotel rooms we offer cable TV with plenty of entertaining programmes. Business hours of reception: Every day:	from 00:00 to 00:00 . We would like to proudly welcome you to the Old town Residence Bis. Apartment Hotels are plentiful, but this one is a prime example of its type. It has all of the advantages you would expect, and more. You can leave your car in one of the many parking spaces while you are staying in the hotel. A complimentary welcome drink awaits you on arrival. The public rooms in the hotel all offer WiFi. Ask our hotel's competent receptionists for assistance at all times. Culinary greetings from the kitchen Our hotel also serves vegetarian meals. Our hotel also includes diabetic-friendly dishes. Wholesome foods including multi-grain products are offered at the hotel. Where you will stay Cable TV is standard in the hotel's fetchingly furnished rooms. You will enjoy the internet TV found in your room. Enjoy the use of a kitchenette which includes a fridge, a microwave, a kettle and coffee making facilities in your room during your stay. Not only will you find a shower in your bathroom but also a hair-dryer. The sound proof windows in each hotel room block out unwanted exterior noise. The walking trails in the hotel are very well-liked among our hotel's guests. They provide a great opportunity to share some fun moments with your friends. Business hours of reception: Every day:	from 00:00 to 00:00 . We would like to cheerfully welcome you to the Sopot. For the convenience of our hotel quests, car parking space is available at the hotel on request. Free for you Guest will receive a complimentary bottle of water upon check-in. You can use the hotel sauna for free. During your stay, you can park for free at the hotel. The public rooms in the hotel all offer WiFi. Make yourself at home Valuable items may be left at reception for storage in our hotel strong box. To reach your comfy room on one of the upper floors we recommend you to use the lift. The lobby has video surveillance. The terrace in the garden is definitely a sight to see. The hotel also offers car rental at great rates. Culinary greetings from the kitchen Meet your family or friends at the bar or at the hotel's restaurant. The chef there also caters for our vegetarian guests. 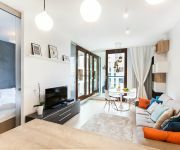 Where you will stay Features, for example a hand-held hair-dryer, an office desk, a radio as well as a safety deposit box, are part of all of our rooms. The visitors enjoy the cable television that can be located in every room. All our hotel rooms are equipped with a properly functioning telephone. You will find a refrigerator, a coffee maker and a kitchenette available in our guests rooms. Not only will you find a shower in your bathroom but also a hand-held blow-dryer. Relax or be active Our hotel offers plenty amenities to make your time here more enjoyable, for instance the soothing sauna. A steam room can also be used. Sporty guests can take advantage of the modern fitness room. Business hours of reception: Every day:	from 00:00 to 00:00 . 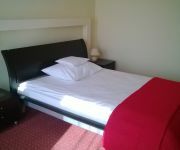 Complitely new, high quality arrangement hotel, where comfort of our Guests is much more higher than two-star standard. Internet Hot spot In All hotel and monitored parking - are free of charge. Hotel offers 30 rooms and appartments . 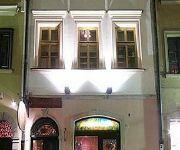 Restaurant serves traditional polish dishes, finest selection of wine and others good alcohol. Hotel Has own conference base. Hotel guarantees full catering service for bussiness meetings and familiar parties. Main advantage is hotel location. 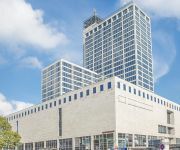 Hotel is located in a center of silesian special economic zone ( KSSE) and Has a perfect connection with motorway Wroclaw – Krakow and main road Katowice – Warsaw. Distance to important destination: 30 km to the nearest International Airport Katowice – Pyrzowice 8 km to International Fair EXPO SILESIA 18 km to Katowice city center Each room Has satellite TV with international channel, spacious and modern bathroom, comfortable desk for a work. Reception and hotel service avaiable 24 hours Business hours of reception: Every day:	from 00:00 to 00:00 . Our entire team would like to cordially welcome you to the Altus Hotel Prestige Katowice. Guests of our hotel who are travelling by train can easily reach the cushy hotel by foot. You can hire a car directly from our hotel and are entitled to use hotel parking during your stay. We provide guests with a complimentary bottle of water. Stay connected during your stay, we have free Wi-Fi and a free internet terminal available. Make yourself at home The competent reception staff will always be ready to assist. We feature a lift for convenient access to the charming rooms on the upper floors. Video surveillance is operating in the lobby area. Culinary greetings from the kitchen Our vegetarian guests enjoy visiting our restaurant since it offers meals suitable to them. On the menu wholesome dishes are provided as well. Where you will stay You'll find an office table, a strong box, a hand-held hair-dryer and a radio receiver in every room. Every hotel guest enjoys the minibar filled with a large selection of beverages, the cable television set as well as the easy-to-use landline that are found in all our rooms. Our hotel rooms are equipped with satellite TV. Your room features newspapers awaiting you that keep you up-to-date on international affairs. For your comfort and convenience all our bathrooms have a bathtub. Relax or be active We value your wishes and are happy to fulfill them, so do not hesitate to enjoy your time in our hotel's sauna. Energetic guests enjoy our hotel's modern fitness room. Business hours of reception: Every day:	from 00:00 to 00:00 . Our whole team would like to happily welcome you to the Villa P'alinka. The local train station lies very near to our comfy hotel. Visitors are welcome to hire a car directly from our reception and can use hotel parking during their stay. Located at our hotel are car parking spots for the benefit of our guests. Free for you Guest will receive a complimentary bottle of water upon check-in. If you are arriving by car, we have free parking directly at the hotel. Late check-out is available for free, please ask reception staff. If available, you can upgrade to a higher category room for free. There is free Wi-Fi in public areas, as well as free use of the hotel's internet terminal. Where you will stay In each of the rooms you will also find satellite TV. We provide a kitchenette, a fridge, a microwave and a coffee maker in each of our hotel rooms. For your convenience, a trouser press can be found in each of our hotel rooms. Business hours of reception: On business days:	from 08:00 to 21:00 On the weekend:	from 08:00 to 21:00 . Hotel opening in May 2013 !!! The homey hotel is appreciated by business and leisure travellers. Our helpful team at the reception will be pleased to put your valuables in the hotel strong box. 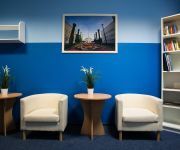 Your business doesn't stop just because you're away from the office that's why we cater to business visitors' needs on our up to date business floor. The management permits pets in the homey hotel. Bring the family - the hotel can always provide an extra bed and the children will have an enjoyable time in our supervised play area. The helpful hotel reception staff will always be ready to assist at all times. Enjoy a wholesome meal from our room service and use the punctual wake-up service in the morning. You can also reserve homey non-smoking rooms in this hotel (subject to availability). A hairdryer can be found in every bathroom for the use of the hotels' visitors. Many of the hotel's homey rooms also have balconies. Please state your preference when making your reservation and we will forward your wishes and requests. All of the hotel's homey rooms have a television and radio. Business and leisure travellers for example appreciate the desk, telephone and internet access in each of our rooms. Beauty treatments can be enjoyed in the hotel. Sporty guests make use of the hotel's rental bicycles to keep fit. Relax in the hotels' swimming pool and modern fitness room. Rest assured that you will definitely enjoy relaxing in the jacuzzi. The hotels' visitors enjoy the sauna and steam room. We offer a wide range of treatments and massage to our visitors. Relax on your own or meet up with friends and family in the hotel's tasteful pub to mull over your day. Meet your friends in our hotel bar. The helpful hotel chef provides an imaginative menu for all guests including diabetics and vegetarians. Business hours of reception: Every day:	from 00:00 to 00:00 . We would like to proudly welcome you to the Cracowdays. Stay connected during your stay, you will have access to Wi-Fi in public areas and an internet terminal, which are of course free of charge. Where you will stay Satellite TVs are available in our hotel rooms. After you get out of the shower, use the blow-dryer provided to dry your hair off. Our entire team would like to gladly welcome you to the Pegaz. Spa Hotels abound, but the Pegaz is a great choice to fulfill all of your needs and expectations. Book with us and find out! There are ample parking spaces available to guests of the hotel. Hotel guests can take advantage of our convenient car parking space. Please request when making a booking. Free for you A free bottle of water awaits you on arrival. You can use the hotel sauna for free. Parking is located directly at the hotel for free. WiFi can be found in the hotel's public areas. Make yourself at home Leave your valuable items in our hotel safety deposit box. The upper floors of the cosy hotel are reached easily with the lift. Our lobby is kept under video surveillance. Our hotel is proud to offer you the inviting café - bistro for light meals and drinks as well as a high-quality restaurant for your evening dining. Where you will stay Services, for instance cable TV for visual and audio entertainment, are offered in every room. The rooms at our hotel are equipped with satellite TV. During your entire trip you will be able to stay in touch with your family or friends since a properly functioning landline is available in each room. Relax or be active Heat is a leading relaxation technique. For this reason we provide our visitors with a rejuvenating hot tub and sauna. We feature skilled ski instructors to help our visitors learn to ski. Simply ask about our ski-school before you hit the slopes. One of the leisure activities provided in the hotel is taking a walk on the walking paths. It is a true crowd-pleaser among our hotel's visitors and features a great opportunity to share some fun moments with your friends. Business hours of reception: Every day:	from 00:00 to 00:00 . Our whole team would like to warmly welcome you to the Amaryllis. At our hotel there are parking spaces for your car and also secure parking for bikes and motorbikes. Free for you You can use the hotel sauna for free. WiFi can be found in the hotel's public areas. Make yourself at home Articles of value will be stored securely in our safe at reception. Within the hotel a lobby is included. Culinary greetings from the kitchen The restaurant at our hotel features both vegetarian and wholesome whole wheat meals. Where you will stay A trouser press, desk, and a convenient minibar are provided in every room for the use of our guests. The rooms in our hotel feature satellite TV. The visitors staying at the hotel can protect their prized possessions by using the safety deposit box provided in each and every room. During your entire trip you will be able to stay in touch with your family or friends since an easy-to-use telephone is available in all the hotel rooms. Our hotel rooms are all equipped with refrigerators. Bathrooms in the hotel feature a shower, a bathtub and a hairdryer. In your room's bathroom you will find a shower as well as heated towel bars. A hair-dryer and make-up mirror are provided as well. All hotel rooms are fitted with soundproof windows for the comfort of our guests. Our sauna is a refreshing way to spend your spare time. If you happen to have some time on your hands, check out some of our leisure activities, like fishing, where you and your friends will have a peaceful yet fun-filled day. Business hours of reception: Every day:	from 00:00 to 00:00 .